Franco Bellocq is one year older than his team's average age, as he was born on 15.10.1993. Franco Bellocq played 15 matches this season. Franco Bellocq is a male midfielder from Argentina, who has been playing for Asteras Tripolis in Greece since July 1, 2018. Measuring 175cm, Asteras Tripolis's average player height succumbs Franco Bellocq by 5cm. He is a right footer just as 63% of Asteras Tripolis. 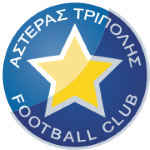 In Super League (Greece), Asteras Tripolis is in twelfth position and in Greece Cup (Greece) of group Gr. 6 they are leading. From his professional start until now, Franco Bellocq has performed in 83 matches in total and hindermost appeared six days ago. Altogether, he was substituted in 25 and out 8 times. Currently, he entered the pit more than he left it which is different to last season wherein he did the opposite. His shortest stay in a club has been ten months in his present-day squad. 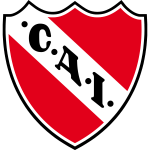 Four years and 11 months was the maximum period Franco Bellocq ever played in a team, which is CA Independiente (Argentina). Considering he weighs around 163.14lb, Franco Bellocq is approximately 1lb lighter than the average player of Asteras Tripolis. To date, collectively he holds 29 penalties. Lately, he seems to be more quiet since less penalties were given to him than usually. He received the number 14 tricot at Asteras Tripolis. Franco Bellocq's best season was Primera Division 2016 (Argentina), because in this year he had his highest success in terms of goals. He just scored no and initialized no goals at present. This leads to roughly zero scores per match in the resent season. One could say he translated to a slighlty diminished form compared to last year yielding a per-match-quota of 0.06 goals and 0 assists. Prior to joining Asteras Tripolis, he played for Club Olimpo, Arsenal de Sarandi and CA Independiente. Besides Franco Bellocq, there are nine more midfielders in Asteras Tripolis's lot: Jose Luis Valiente, Giorgos Kanelopoulos, Martin Rolle, Walter Iglesias, Lucas Salas, Manolis Dine, Kyriakos Glezos, Juan Munafo and Panagiotis Tzimas. His squad concluded in a tie in 40% (60% home) in Super League and won 100% (100% home) in Greece Cup. The highest win streak of the last 3 matches happened in Greece Cup with a count of 3.